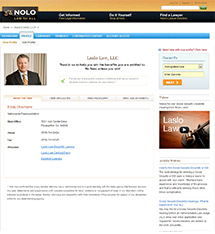 With your Nolo subscription, you are given access to a custom, self-service profile that you control, in real-time. 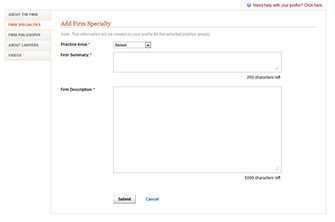 Differentiate your firm by adding a descriptive tagline and provide details pertaining to your practice areas in Firm Specialty. 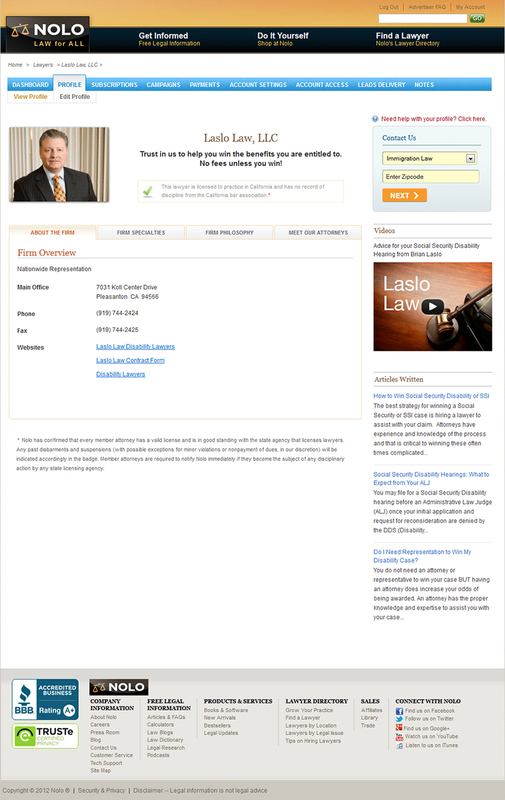 Feature your firm’s experience, case history, office hours, languages spoken and more in About the Firm. 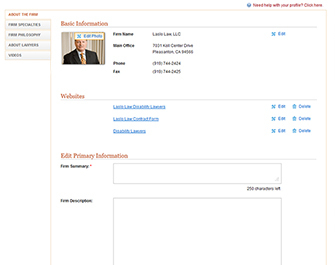 Complete profiles attract more qualified leads that are FREE with your listing. Send the right message to the right consumer by providing a detailed tagline and overview for each area of practice you are subscribed to. 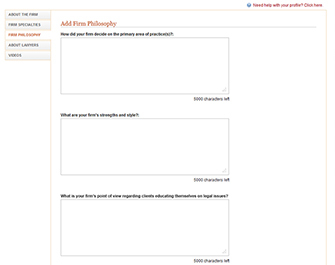 Set yourself apart by sharing your firm's philosophy and strengths. Introduce members of your firm. 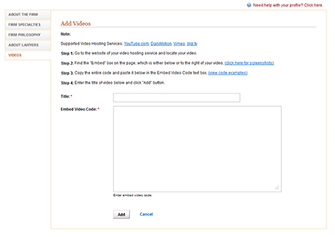 Personalize your message by uploading your videos.